A concrete framework for engaging today's buyer and building relationships Social Selling Mastery provides a key resource for sales and marketing professionals seeking a better way to connect with today's customer. 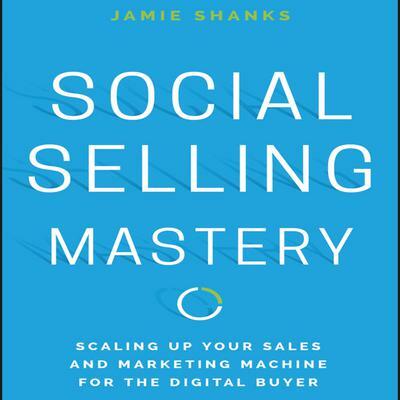 Author Jamie Shanks has personally built Social Selling solutions in nearly every industry, and in this book, he shows you how to capture the mindshare of business leadership and turn relationships into sales. The key is to reach the buyer where they're conducting due diligence—online. The challenge is then to strike the right balance, and be seen as a helpful resource that can guide the buyer toward their ideal solution. This book presents a concrete Social Selling curriculum that teaches you everything you need to know in order to leverage the new business environment into top sales figures. Beginning with the big picture and gradually honing the focus, you'll learn the techniques that will change your entire approach to the buyer. Social Selling is not social media marketing. It's a different approach, more one-to-one rather than one-to-many. It's these personal relationships that build revenue, and this book helps you master the methods today's business demands. Reach and engage customers online Provide value and insight into the buying process Learn more effective Social Selling tactics Develop the relationships that lead to sales Today's buyers are engaging sales professionals much later in the buying process, but 74 percent of deals go to the sales professional who was first to engage the buyer and provide helpful insight. The sales community has realized the need for change—top performers have already leveraged Social Selling as a means of engagement, but many more are stuck doing "random acts of social," unsure of how to proceed. Social Selling Mastery provides a bridge across the skills gap, with essential guidance on selling to the modern buyer.